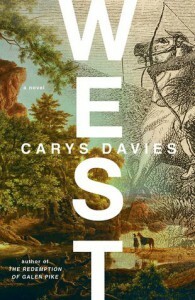 West begins with a wonderful premise, a good cast of characters, and some lovely language. Then it ends. And I'm not sure how I feel about that. Part of me thinks, I could've stayed with these characters for a full 300 pages. I would've endured the journey wherever it took me. Surely this story could've gone on longer. Then again, I'm not sure. There's such a thing as a story stretched too thin, and I think Westcould've been a victim of this had it been much longer. Perhaps it is too long as it is. Maybe West isn't too short for a novel, but too long for a short story. The final fourth of this novella does wane a bit. I'm not sure what side of the fence I fall on, but something feels off about it and I think it has to do with length. Overall, West is a wonderfully quick and entertaining read. The premise really sells this book. In the early 1800s, a father goes on a quest to find monstrous beasts whose bones have recently been unearthed. 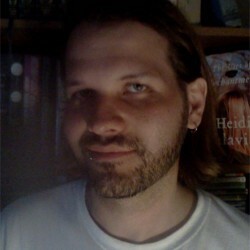 He leaves his daughter behind to begin her own quest into womanhood. It's a wonderful idea and I think Carys Davies pulls it off exceptionally well. I'm curious to see what else Davies can do, long or short.